Curiosities by Riley Blake is an artist collection featuring floral and Ostriches. 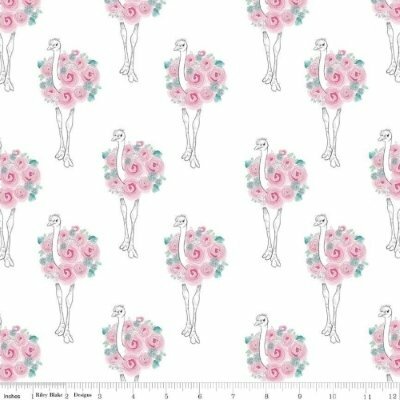 A beautiful fabric featuring pink ostriches on a white background. Please note the price is for 1 Fat Quarter of Riley Blake fabric. For 1/2 Metre of fabric, add 2 units to your shopping bag. For 1 Metre of fabric add 4 units etc.